Shopify Plus partner apps are some of the best Shopify apps available. They are recognized because of their utility both for your back office and for your customer experience. 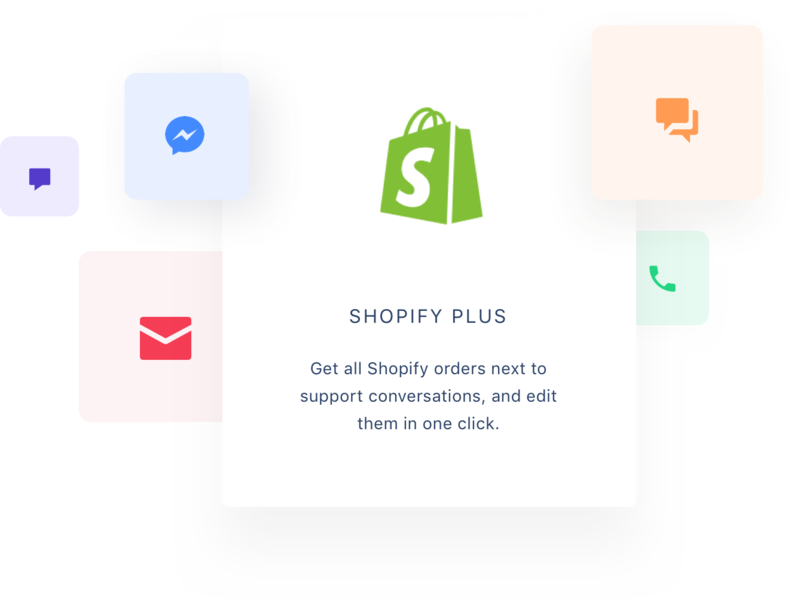 The Shopify platform hosts hundreds of different apps for every feature you could think of. You can integrate a search app onto your Shopify site to make it easier to find items to shop, use a shipping plugin like Shipstation to manage customer order shipping, and more. The secret to running a successful ecommerce store is making everything work together seamlessly. However, not all apps are created equal. You only want to use the best Shopify apps available to keep your store running as quickly and efficiently as possible. This is especially true with a Shopify customer service app, as the customer experience will determine just how successful you will be. Shopify Plus Partners are some of the best apps available for the Shopify platform. They are carefully selected by Shopify Plus for their quality and efficiency in improving your online store. From ecommerce to customer service to shipping, there is an option you can trust for any realm of your Shopify Store. These apps are recommended to businesses by Shopify themselves, so you can be confident that they are great apps that will improve customer interaction, customer experience, and brand loyalty. Gorgias is one of these Shopify Plus Partners. Gorgias is the only Shopify customer service app specifically designed for Shopify and Shopify Plus merchants. You do not have to worry about adapting the app to Shopify from another ecommerce platform, it is built with the Shopify platform in mind. This means that it is able to integrate seamlessly with the Shopify, as well as many other of the best Shopify apps such as Yotpo, Smile.io, Recharge, and more. When you integrate these apps together, you can provide comprehensive Shopify support to your customers. 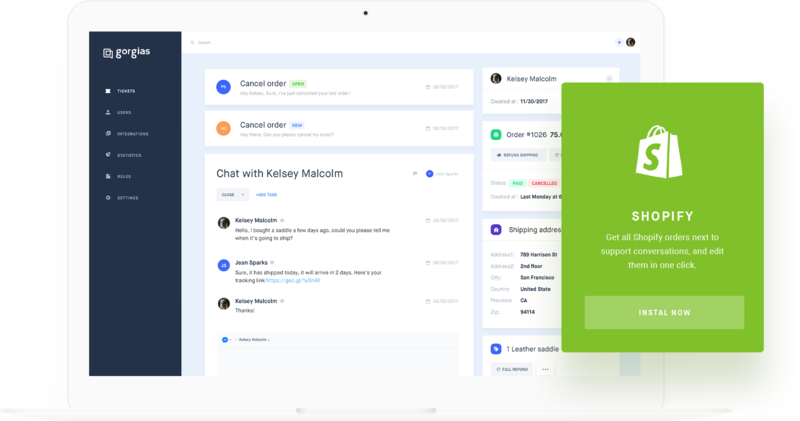 Gorgias can be used with Facebook Messenger and other social media platforms to organize all your customer requests into tickets, managed by Gorgias’ ticketing system. 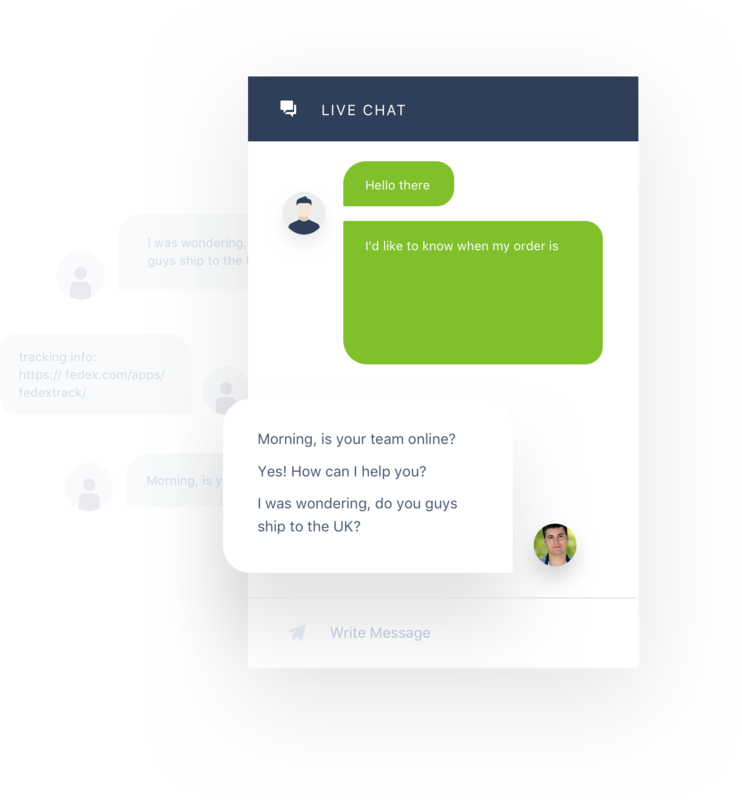 It can also automatically respond to them, drastically cutting down on the time you spend answering FAQ’s or providing shipping information. 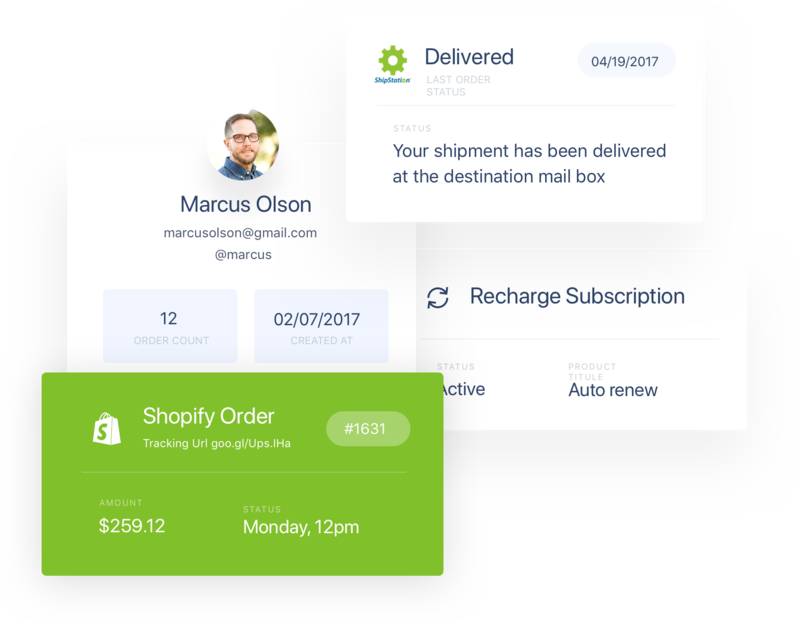 This can greatly improve your Shopify support and response time, improve customer interaction, and more. If you need to refund an order, the Shopify integration lets you provide refunds and see customer information, order history, and more straight from the help desk app. From the app, you can also take advantage of the customer information it can pull from apps like Recharge and Loyalty Lion, modifying subscriptions or managing loyalty rewards. Need to check the delivery status? Integrate with Shippo or Shipstation to get instant shipping information and delivery status without having to leave the customer chat. You can even pull it automatically from one of the apps and respond with it to any customer requests that want to check their delivery status. Gorgias is recognized as one of the best Shopify customer service apps available for your Shopify store. It can be integrated with Recharge, Shipstation, Swell, Yotpo, Facebook Messenger, and more to provide you with all the information you need. You can use this information to offer better customer support, lower response time, and save yourself time, money, and frustration from trying to use all the apps separately. When it comes to the best Shopify apps available, Gorgias belongs on top.